The Beauty Scoop! 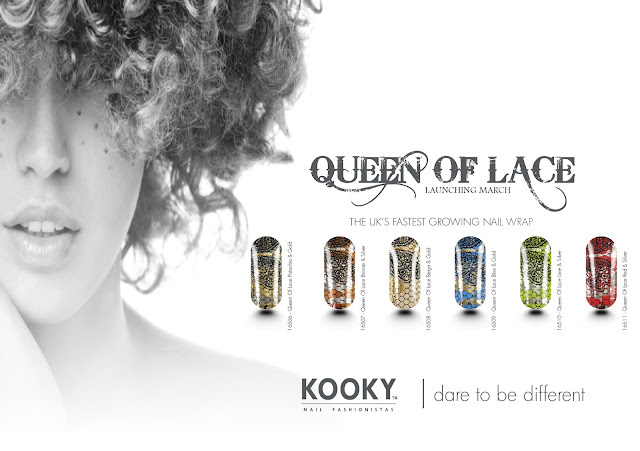 : Kooky Nail Wraps - Upcoming/Newly Released Collections! Kooky Nail Wraps - Upcoming/Newly Released Collections! I'm a big fan of Kooky Nail Wraps, and I'm always pleased to see new designs coming from them as you can never have too much choice where Kooky Nails are concerned, in my opinion. These 2 new collections are no different, I only have these images to go off (although there are individual pictures of the Lace collection on the website as they have just been released) but they look absolutely lovely. From the modern, geometric looking designs of the New York On My Mind collection to the pretty but bold lace designs in the Queen of Lace collection - both are looking fabulous, don't you think? These look really cool. I'd never heard of the brand before either, so kudos for this. I'm Commenting at 'My Daily' Today! Models Own & Hed Kandi Nail Polish Collection! Celeb Sunday - Stacey Solomon! Sure Maximum Protection - My Verdict! Celeb Sunday - Sheridan Smith! Jimmy Choo Perfume Offer @ Cheap Smells! Food: Cheese & Onion Pie! Oliveira Lisboa Shoes - Perfect Holiday Shoes! Celeb Sunday - Mischa Barton! Bannatyne's 2 For 1 Pamper Day! My First Michael Kors Watch - MK5361! EOTD with Max Factor False Lash Effect Mascara! Wordless Wednesday - Chloe Loves Cosmetics! 10% Off Beauty @Debenhams Until 11th March 2012!